Every runner understands how important is to have a proper meal. We believe that we are also bless with our activity and that we can taste any kind of food without any guilty. Just remember how important is the carbo-loading before a half marathon or a marathon! 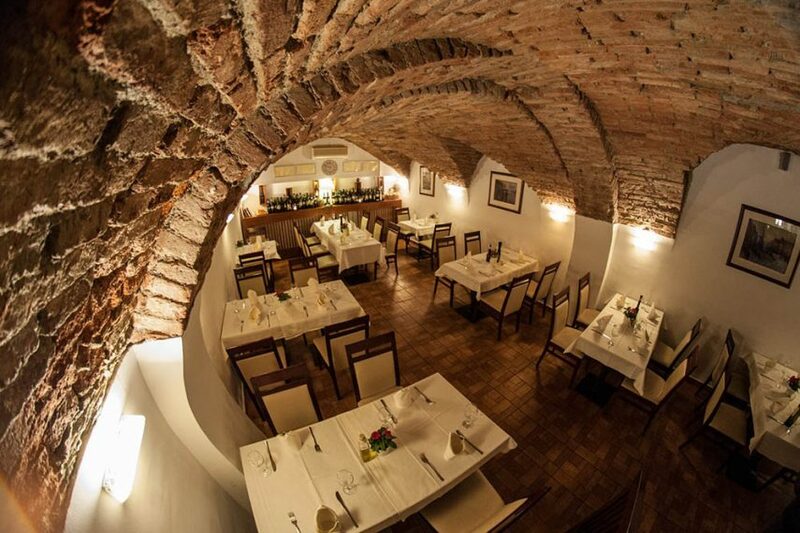 Restaurant Lanterna na Dolcu is settled in one of the oldest Zagreb streets, Opatovina, in the basement over three hundred years old. 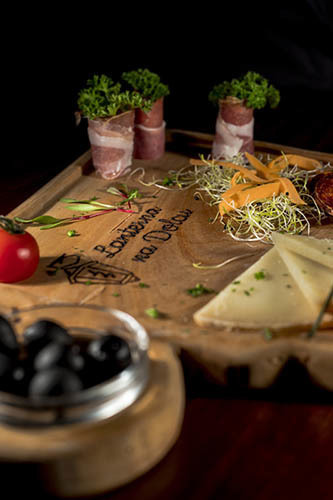 It’s a mixure of old Zagreb history legends and traditional Zagreb gastronomy. Meals are prepared by the recepies of the cookbook from 1854. which is exponated in Zagreb city museum. All groceries are bought daily on Dolac market, belly of the city, which is just few steps away from the restaurant. It’s awarded by TripAdvisor excellence certificate. If you’re aiming to taste traditional Zagreb cuisine, your goal is Opatovina street 31, Lanterna! One of the oldest and most famous alehouses in Croatia, Medvedgrad, is settled just few steps from the crossing of Ilica and Frankopanska street in the courtyard of old buildings, hidden from the city traffic and asphalt. Beautiful courtyard in greenery perfect for afternoon beer and snack or late night chat over numerous kinds of beer made for every taste! Highest quality food and wine restaurant in Kaptol 10, the unbeatable location: beside Zagreb Cathedral. Impeccable choice if you’re headed for a tasty meal in proper portion with great quality and very fair price at the same time. They serve all delicacies for which your palate would be very thankfull for, such as beefsteaks, tunasteaks (made on woodcoal grill which gives meat special aroma), homemade pasta, bread and desserts by old traditional Croatian recepies. Have we mentioned that wine list is one hundred renown wine labels and counting? So relax, eat fine and drink great wine! Restaurant Korčula is a traditional Croatian fish restaurant in Teslina street. Opened sixty years ago and still maintaining its unique and high culinary standard. On their menu you’ll find all sorts of fish, shells, octopus, all fresh delivered from our Adriatic sea, accompanied of course with highest quality sorts of Croatian wines, homemade. For dessert you mustn’t miss pears in red wine… Enjoy with all your senses! A beautiful restaurant on the first floor of the house in the most vivid and alive Zagreb street, Tkalčićeva street. You can choose to have your meal upstairs, in quiet and overlooking the street and trees, or on the terrace where you can contemplate people mingle. Two words: modern tradition. They serve some very rare Croatian meals made in a traditional way. Also, they elegantly mix flavoures so that you have to guess the combination, but nevermind if don’t, your belly shall be very grateful! An interesting and surprising little restaurant in Vlaška street. Serving Croatian food but in a so different way: Croatian interpretation of tapas, burgers, codfish tortelloni, smoke-dried octopus. Their daily offer depends on which groceries are on the market that day. So it’s very suprising because every day is something else! For dessert let them surprise you with something, however, classic: plum cake marinated in black tea. Settled in the Upper town this cozy little restaurant is offering you delicious traditional Croatian meals on fair prices. They even serve ajngemahtec, old Zagreb „all in one“ meal. The bistro has daily offer also very traditional. For locals, it wakes up the childhood feelings in the past and reminds us on memories with aromas of a bit forgotten traditional Zagreb meals… Try it and decide for yourself! A Croatian street food bar in Petrinjska street, an inevitable place if you want to try typical all Croatian food made out of domestic groceries. They created a Crobite, a snack made of mixure of all Croatian scents and flavours in one bite, it’s a must bite! Let us reveal some of the offer: prosciutto, ham, anchovies, truffles, olives… And the rest you’ll find out yourself and will be pleasantly surprised! An old little fish restaurant right on the Dolac market. We don’t have to tell you that fresh fish is coming straight from the fish market and that the daily offer depends on it. Fair prices, a place where locals love to eat fish, old fashioned eighties ambience, the unbeatable sight on the market and the Cathedral bell towers if sitting on the terrace while watching market bustle in the very heart of the city… Yes, like the good old times! A perfect spot to have a break when sightseeing Zagreb. In Cesarčeva street there’s a nice cheese and wine bar where only Croatian products are served, so it’s a win-win situation: to have a break and taste something authentic Croatian! Besides cheese there you’ll fine all other sorts of Croatian delicaceis like Dalmatian prosciutto, red peppers filled with cheese, Croatian sweets and fresh fruit. One of the oldest pastry shops in Zagreb, over 40 years old, is waiting for you to try their famous Zagreb custard slice in Ilica street. Besides that there you’ll find all kinds of sweets, huge choice for everyone: icecream, cakes, no-gluten products, soya cakes… It’s a combination of traditional cake recepies in modern pastry offer. It’s a must try! La Štruk is probably one of the best known small restaurants in Zagreb. Amazing reviews on TripAdvisor but even without it, you should trust us. This small restaurant i serving only Štrukli, a traditional Croatian specialty. Štrukli are made of dough filled with cheese, backed or cooked. This is the basic version but in La Štruk you can try their salty and sweet versions as well. If you want to try something really traditional and original from Zagreb, štrukli is a dish you have to try. Find them in the centre, Skalinska street No. 5 (just a side Tkalčićeva street or Dolac market). Previous Post Where to Run in Zagreb? Next Post Where to sleep in Zagreb?